CEREC Dentist | New porcelain dental crowns made during a single visit to our office! Natural-Looking Crowns Made in One Visit! You know how the routine goes. The dentist tells you that you need a crown. After your tooth is prepared, they take an impression and give you a temporary crown. It takes two weeks or more for the permanent crown to be made, and then you to return to the dentist to have it placed. If the fit isn't perfect, it goes back to the lab and you wait again. And return to the dentist again. But at Springhill Dental, that's all changed! Dr. Shearer is excited to offer CEREC™ technology that reduces that two-week waiting period and the two or three office visits down to just a single visit! This new technology is a computer-aided design and milling device that allows us to create a permanent crown on site, in a very short time. Now, there's no more waiting for the lab and no return trips to the dentist. Patients love it! Have a damaged tooth? The CEREC system allows us to repair it in around an hour. You can say goodbye not only to temporaries, but to those goopy impressions, too! We can take the impression digitally, so an accurate picture of the tooth is then displayed on a computer screen. Dr. Shearer designs the restoration, and then CEREC takes over and automatically creates the crown, inlay, or onlay. Finally, that new restoration is bonded to the surface of the old tooth. 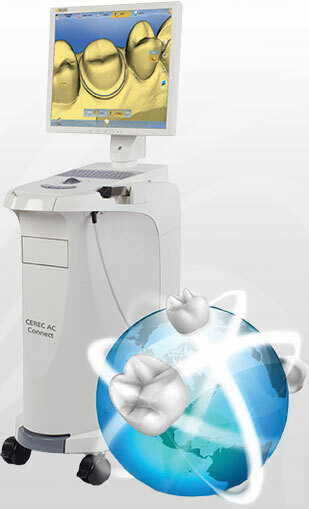 There's no charge to learn more about CEREC one-visit crowns. Call today at (501) 955-0155 to schedule your complimentary consultation.